Nikiti beach is probably the most popular beach in Sithonia. This Blue Flag award-wining beach is has shallow warm waters and is easily accessible. Its greatest advantage is that a part of it is organized and another part of it is free. 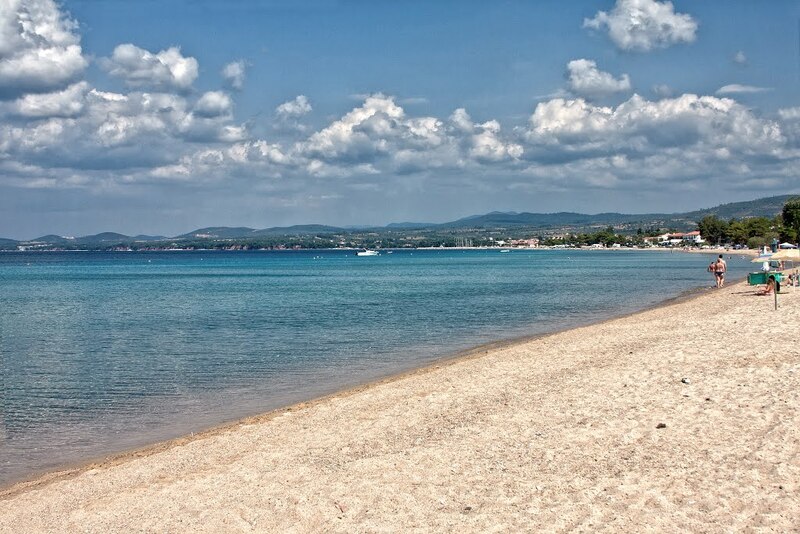 Nikiti is located to the top of Sithonian peninsula, 90 km from Thessaloniki and 20 km from Neos Marmaras. Its famous beach, widely known for its white sand, is 2.5 km long and mostly shallow. The white sand, the crystal-clear waters, and the vegetation that reaches to the coast create an exotic atmosphere. The coastline of Nikiti is approximately 25 km long, and includes some of the most amazing beaches in Sithonia: Kalogria, Kastri, Koviou, Ai Yannis, Lagomandra, Spathies, and Elia. 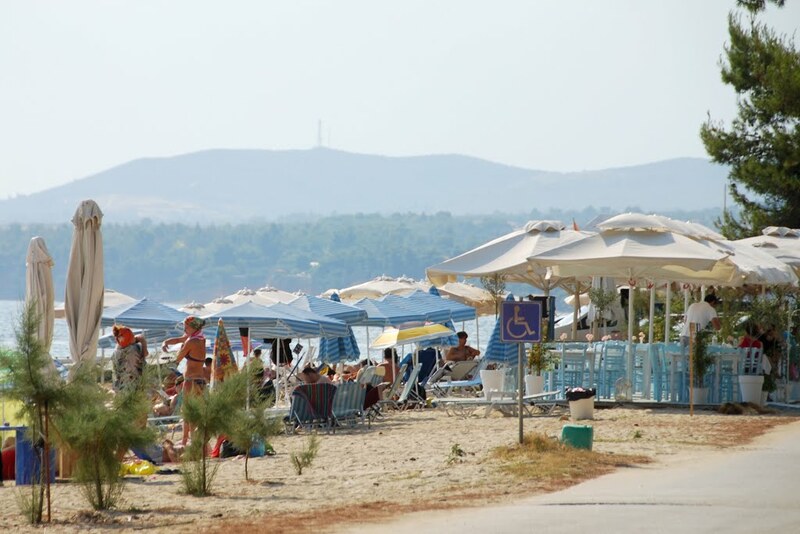 Nikiti beach is accessible on foot or by car. Along the beach, there are plenty of cafes, restaurants and bars with chairs, loungers and umbrellas. Some of them offer Wi-Fi and many more facilities for the visitors. Easy parking in most places as well as accessibility for the disabled are available. Trekking in mount Itamos is a challenge. This beautiful mountain, a protected habitat with significant flora and fauna, is ideal for cycling routes, too. 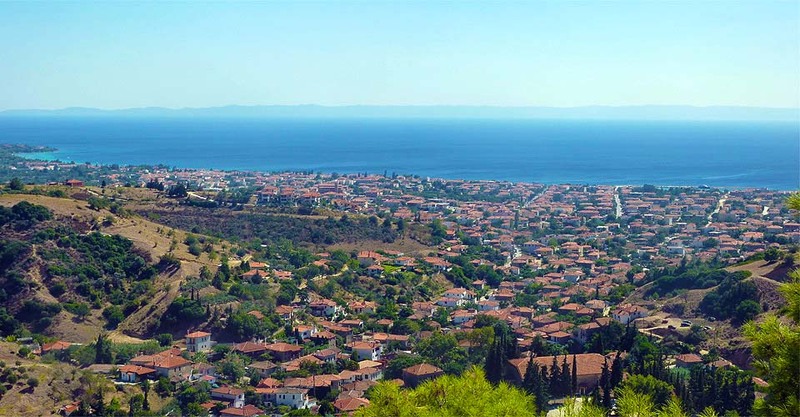 One can admire stunning views both on the part of Toroni, and by the side of the bay of the imposing Mount Athos. Local producers sell excellent honey in stalls and shops. The marina for small boats is ideal for evening walks. In the old village one can admire the preserved homes from 1830, the church of Saint Nikitas and the old school.